By admin | November 30, 2012. With the festive period come the many traditions celebrated throughout the city at this time of year, like the turning on of the Christmas lights on O’Connell Street, the magically decorated windows of Brown Thomas or the Friday night glued to RTE as the Toy Show commences. Throughout the years these traditions change, but one that will remain close to most Irish families is the Christmas Pantomime. The pantomime is usually a child’s first introduction to Theatre. The joy and laughter celebrated at the pantomime remains with children throughout their lives and becomes a strong family tradition in many households, which is carried on from generation to generation. It is for this reason that so many children, teenagers, parents and grandparents ensure to make their annual visit to the Pantomime each Christmas. Brian O’Keefe from South circular Road said the Panto was one of his fondest Christmas memories growing up. “My mother would dress us up in our Sunday best and we would head to the Gaiety theatre. We made a day out of it, usually going for a nice dinner beforehand. My kids are just babies but when they are a bit older my wife and I will definitely bring them every year”. “We brought the kids every year. It’s a nice way to get into the Christmas mood. We all loved getting up and singing and the kids screaming “He’s behind you”. I really do miss it now that they’re all grown up” said Meg Holohan from Thomas Street. 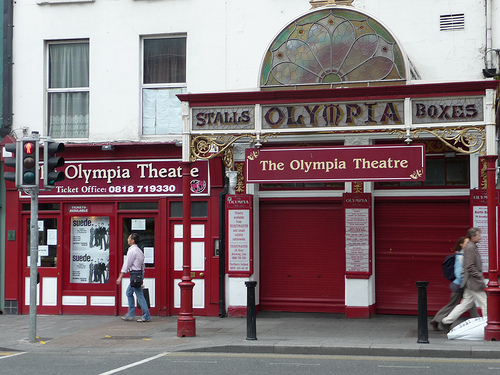 For the people of the liberties there is the annual debate whether to head to the Olympia for their Christmas showing, or go to the Gaiety theatre for their rendition of the Christmas tradition and this year is no different. Cinderella comes to the Gaiety theatre from December 2nd until the 13th of January. The classic tale sees Cinderella (played by actress Stephanie McKeon) go in search for her prince much to the dismay of her evil stepmother and two ugly stepsisters. With a little help from her fairy god mother and a beautiful glass slipper we follow Cinderella on her dreams to find the prince. The show promises stunning song and dance performances for the starry-eyed dreamer in all of us. Tickets are on sale now from Ticketmaster.ie or from the Gaiety box office. Standard tickets start from €25 and school groups start from €15 per person. Contact the box office on 0818 719388 for more information. Jedward are back in the Olympia for another year following the success of 2010’s Cinderella featuring Jedward and 2011’s Jedward & the Beanstalk. This year sees the pair retell the tale of time-honoured classic Aladdin in Jedward and the Magic Lamp. It’s packed with comedy, dance, dazzling costumes and well known songs for the whole family to sing along to. The show runs form December 19th until January 6th. 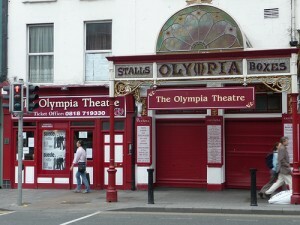 Tickets are on sale now from Ticketmaster.ie or from the Olympia Box Office. Prices start from €22 including booking fee. For more information contact the box office at 01-679 3323.